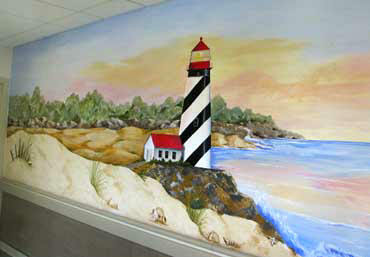 Deb's artistic talent comes out big and bold in the murals she paints in homes and for businesses. 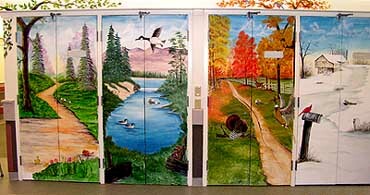 This is one end of a large mural. 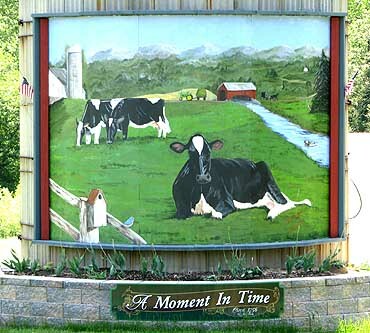 Mural painted on a retired silo.